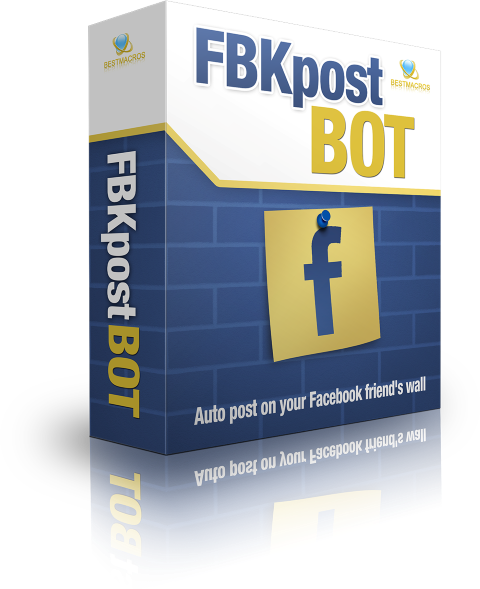 Auto post on Facebook friends wall with Windows BOT! This Windows application bot will auto post your personalized message on your Facebook friend’s walls. Auto post your personalized message on wall. Auto scrapes your Facebook friends to send them your message. Supports Full name and First name personalization. Set wait time interval to wait between posts. Supports English Facebook interface only. Auto logins to Facebook with provided username and password. Works on Windows XP, Vista and Win 7. Disables images and flash for quick page loading. Amount of posts is shown in status area.